Truckers that drive on any Georgia highways, such as Interstates I-20, I-24, I-85, and I-95, must comply with federal regulations that are designed to make sure the trucks are safe and the drivers are competent. The Federal Motor Carrier Safety Administration (FMCSA) is the federal agency that regulates truck driving. 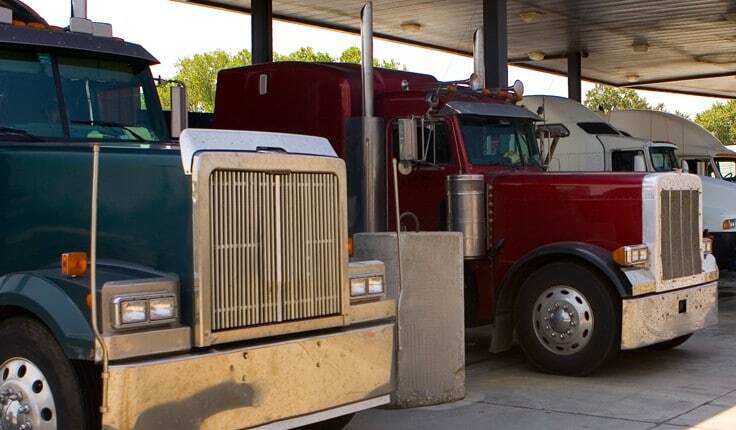 It has the authority to regulate truck operations because most truck drivers operate their vehicles across state lines and are involved in interstate commerce. The Atlanta truck accident attorneys at Harris Lowry Manton LLP understand which laws apply to commercial truck drivers, small truck drivers, and the companies that hire the drivers. The FMCSA enacts these laws, along with guidance from the National Highway Traffic Safety Administration (NHTSA), based on decades of review of how and why such incidents occur. Truck accidents are often deadly or serious because of the size, dimensions, and weight of trucks. Our lawyers hold violators of these safety laws accountable by demanding they pay all the economic, medical, and personal suffering damages the law allows. Commercial driver’s license (CDL). Drivers of semi-trucks, buses, vehicles that transport hazardous waste, and other qualifying large trucks are required to obtain a commercial driver’s license. This license is separate from the standard driver’s license that regular drivers must have. Applicants must be 18 years or older, pass a physical test, and pass a test to show they understand how to drive their large vehicle. Shipping companies must make sure their drivers have a valid CDL. A CDL that is valid in Georgia is generally valid in all 50 states. Routine inspections. Each truck must go through a rigid inspection before it can be driven. The inspector should examine the engine, all movable and electrical parts, and safety features such as the mirrors, brakes, lights, and windshields. Trucks should not be allowed on the road until all necessary repairs are made. Driving hours. Commercial drivers cannot drive more than 11 continuous hours or more than 14 hours in a single day. Once they reach those limits, they must get off the road and rest or sleep. They cannot get back on the road until 10 continuous hours have elapsed. Truckers also cannot drive more than 60 hours in a seven-day period or 70 hours in an eight-day period. Weight limits. Each type of truck has a gross vehicle weight that the truck, loaded with cargo or not, cannot exceed. Trucks that are too heavy are likely to turn over or to spill their cargo, in addition to being extremely difficult to control especially at higher speeds. Drunk driving laws. Most drivers can be found guilty of driving under the influence of alcohol if their blood alcohol content (BAC) is .08 or more. Truck drivers who have a CDL must meet a stricter .04 standard. The truck companies that hire the drivers can conduct random breath and blood tests. Truckers who have an alcoholic beverage must wait four hours or more before driving their truck again. Truck drivers must also obey the local traffic laws for each state they drive through, including Georgia. If you were injured or a loved one was killed by a truck driver or company that put profit and speed ahead of safety, the Atlanta truck accident lawyers at HLM are ready to help you get justice. Our experienced lawyers have obtained numerous large settlements and jury verdicts in truck accidents because we review each law that applies, investigate all the facts, and prepare each case for a jury trial. To schedule a free consultation, please phone us at 912-417-3774 in Savannah or 404-998-8847 in Atlanta. You can also reach us through our contact form.